Nowadays, you can use Google to search a lot of information. This search engine can help you search more than 10 different file types. Google can also be used to search PDF files as the addition to the standard HTML documentation. It is easy to search your favorite PDF files by using Google search tool. 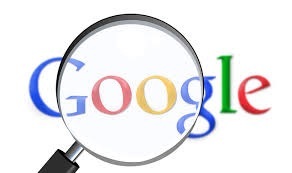 Advanced search option is an advanced feature created by Google to help all customers to find their favorite files easily by using this option. There are many people using this option because it is often the easiest option to find PDF files by using Google search. You should click the “Advanced search” located on the Google home page. Then, you should type the query or keyword that you want to search. You are allowed to search many types of keywords that you want. Try to include some specific words or phrases that you want into the search box. If you want to exclude some words or phrases, you can also do so by using the advanced search option. Then, after writing down your query, you should click the drop down box on the File Type option. Select the “Adobe Acrobat PDF files”. By clicking on this option, you tell Google to search any PDF files that are related with your keywords or query. After managing all options, you should click the “Advanced Search”. Google will bring you all PDF files that match with your search. You can also use to search query to find all Google PDF files that are stored in Google’s system. First, you need to visit the Google home page. Then, you can include this text “filetype.pdf” on the search query. For example, if you want to search PDF files related to baseball, you can type baseball filetype.pdf on the Google search query. You can simply press “Enter” or click “Search”. Wait for a few seconds before Google can show all PDF files that are related with your keywords, words, or phrases. Those are two main methods that you can use to find PDF files by using Google search. Nowadays, you are able to find your favorite PDF files easily with Google. Google is an important tool that you can use to find your favorite PDF files easily. In most cases, this search engine can show all results within a few seconds. Translate PDF Documents Automatically to 27 Languages.